Jim Robb said the quality of U.S. beef is responsible for demand and quality ought not be compromised. 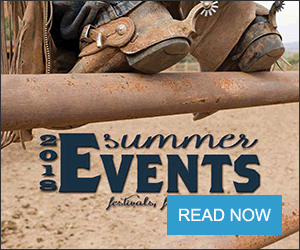 Jim Robb, director, Livestock Marketing Center, said market outlooks are complicated by U.S. Department of Agriculture shutdowns and the information provided by the entity, much, like cow inventories supplied by producers, are ever more important. 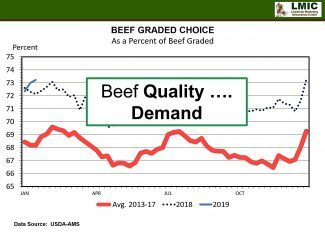 While it's not skyrocketing, Robb said the general market outlook is up and that's good news for beef producers. "Nobody in D.C. is going to understand your industry, nobody down in Denver is going to understand how your industry is important to the state unless they can look at the numbers," Robb said. Severe weather has had an effect on the meat market and Robb said it's a strong one. 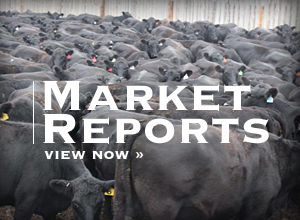 The meat market reflects demand for both retail cuts and byproducts. As the majority of byproducts are exported, that portion of the market is difficult. China buys the majority of hides, and that trade has been affected by tariffs and has pushed down the overall value of byproducts. The fed cattle market, he said, is lower than the meat market and is due in part to the weather. Robb said the weakness in slaughter cattle prices will be this summer but yearend prices are likely to be higher than last year. 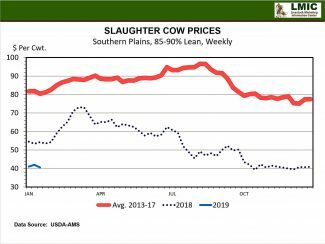 Likewise, 700 to 800 weight steers are below last year though producers in the southern plains will receive $4 less than producers elsewhere. "We've got long yearlings coming in off summer grass and we've got to be really careful, it's going to be hard to make last year's market," he said. Why is that? Because cattle feeders lost money feeding those cattle in feedlots last year and that's why they're not bidding as aggressively now on those animals because they lost a pile of money in 2018." Calf prices are well below last year, Robb said. Last year was strong at the beginning and then flattened whereas this year, he expects the end of the year will be higher than last. 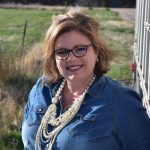 The cull cow market is unique this year, with southern plains cull cows bringing below 40 cents a pound. "This is a market that is being pressured by really one thing at this time: the number of cull dairy cows coming in the market," he said. "The milk market is terrible and we're starting to liquidate dairies in this country. That's the added pressure." Imported meat from Australia is down due to an ongoing drought in that country so the wild card, Robb said, is dairy cow culls. One dairy in the Pacific Northwest recently liquidated 30,000 cows that all hit the local market there in one week. 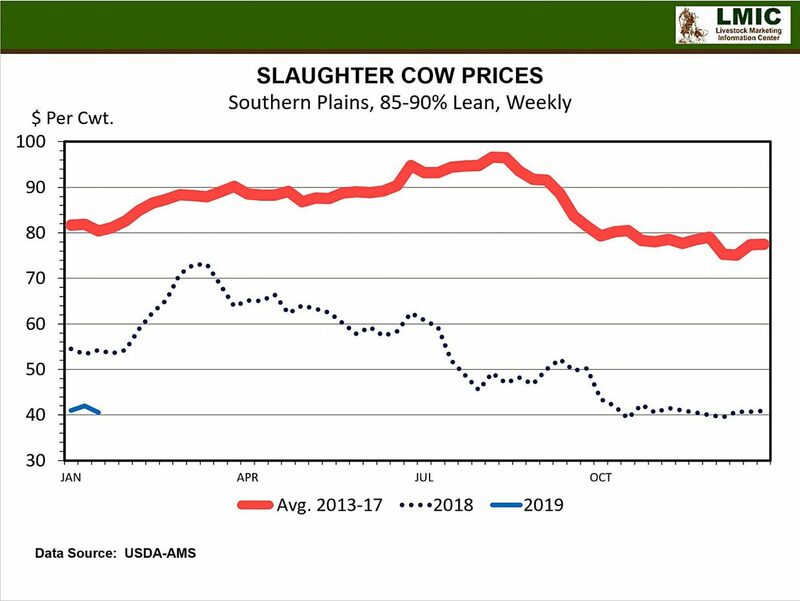 Robb expects prices to rebound and said with lower priced feedstuffs, many beef producers have held onto more cows to ride out the soft cull cow market. Robb recommends spreading cull cow sales at local markets over several weeks to avoid hitting a week with a large number of dairy cow culls. In 2018, it was the cull cow market that caused lower cow calf returns more so than cost of production or other factors. Milk prices on the futures market are picking up and slowing culls so Robb said volatility is likely only to last a few more months. "We think the worst is behind us," he said. Robb said the U.S. economy is strong and consumers are confident. With consumer confidence up, grocery stores are using beef to entice shoppers into the store. "They're trying to get someone in the grocery store to buy meat, to buy everything else," he said. "They're using meat to attract people as the main item in the grocery store. I don't want to be in that industry but I want to recognize what they're doing." The reasoning, Robb said, is the recognizable brown UPS truck that can be seen daily in rural areas, delivering everything including groceries. "I hope you all gave Christmas presents to the UPS driver because they come to your ranch more often than your kids do, right?" he said. "If you're a young couple living in rural America, you're getting your diapers delivered to your back door for free. How do you compete in the Denver grocery store with all this? Feature something that has to bring them in the store." The demand profile for proteins remains strong as the second largest amount of beef is in front of consumers and the most pork and chicken ever. Even with vegetarian and vegan diets en vogue, other diets like Paleo and Keto have had a positive impact as a result of demand for high quality protein. The pendulum though, he said, is swinging with the rise of four-day Vegans (a diet that adheres to veganism in four-day stretches) in some urban areas. Conversely, pet food that utilizes skeletal meat cuts, preferred by many, contributes to meat demand. Robb said the humanizing of pets contributes to this demand. 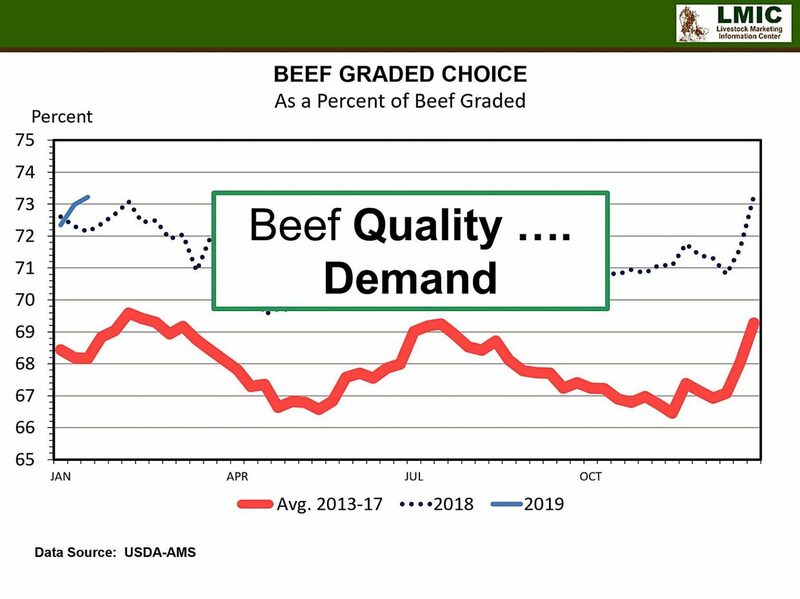 Those factors aside, the increase in quality, illustrated by the number of carcasses grading choice and prime, is a driving factor in demand for beef and the reason chicken and pork demand is not keeping pace. Investments on the ranch in quality genetics, he said, are paying dividends in terms of meat demand. "I'm an economist," he said. "Cost of production is really important to me. But if you give up anything, don't give up quality. Quality is what got us here and kept us here in record high meat supplies the last few years. People want a high-quality steak." When selecting feedstuffs, Robb said to do so with a sharp pencil. Distiller's grains, a popular feed, is high this year alongside hay. Whole cottonseed hulls and whole soybeans have become less expensive feed alternatives across the Midwest.